Mary Kate Fahy feels called to serve and the Dolphin Companion program meets that need. Mary Kate Fahy just lost her client of two years, Michelle, but was willing to reflect upon her experience as a Dolphin Companion for Episcopal Community Services (ECS) in honor of National Volunteer Week. The Dolphin Companions, a program operated by ECS, has a singular goal: to eliminate the loneliness of isolated seniors. The Dolphins subscribe to a one-to-one philosophy. Each volunteer, known as a Dolphin, visits a nursing home resident that they are matched with, becoming a special friend to that person. For Mary Kate, the relationship didn’t start out positive. She said Michelle was “grumpy and cranky” every week when she visited. Then, after about six months, one day everything shifted and she knew Michelle looked forward to her visits. That was when their friendship started to blossom. 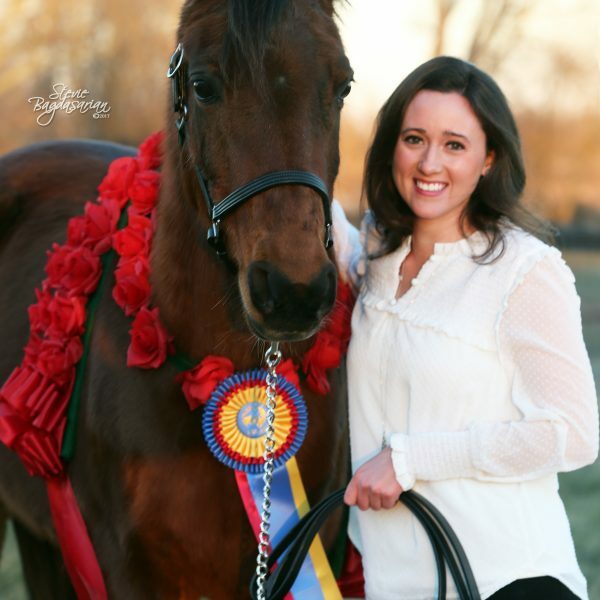 An equestrienne educator who was educated at Stephens College in Columbia, Missouri and now teaches at Travelda Riding Academy in Quakertown, Mary Kate’s career has taken her to live in many places around the country. She had participated in required community service projects in high school, mostly group activities like sorting clothes. The opportunity to build a deep, one-on-one personal relationship with another person is one of the reasons Mary Kate thinks the Dolphins are such a good fit for her. That’s what she was looking for. “People need personal interaction,” she said. “It feeds our souls” to give in this way. The Dolphins “is an amazing program that gives back to them and to you,” Mary Kate said. Her wish is that all lonely and isolated seniors receive some companionship. She also knows firsthand how much the giver will also gain from the friendship. While the busy riding season begins at Travelda, she is taking a break from the Dolphins to focus on work and to grieve for Michelle. She said she is very much keeping the door open for a new companion assignment next winter.